Do you need a bigger file? The file available on this site is 636 x 1024 px. To obtain an alternate file type or higher resolution copy, please contact the owning institution. 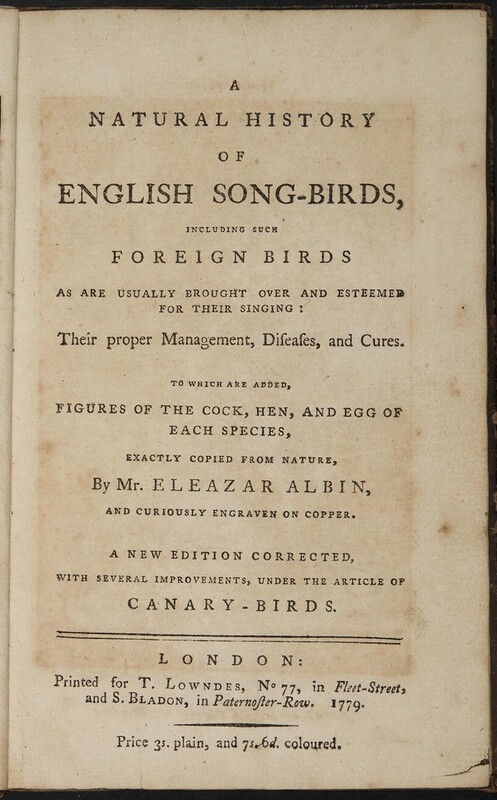 Scope/Content: Manuscript annotations by Judith Gowing in a copy of Eleazar Albin's Natural History of English Song-Birds (1779), mostly concerning the care of birds and best practices for avian taxidermy. Care instructions include feeding methods and medications. Scope/Content: Ownership inscription of Judith Gowing, dated May 1802, on front free endpaper.